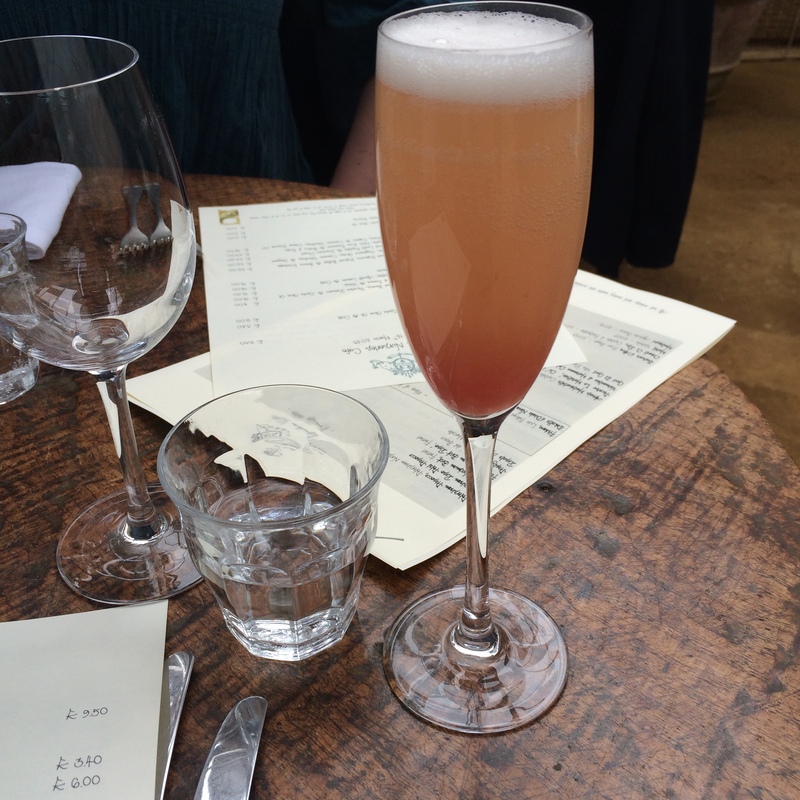 The weekend before last my foodie friend Anna was in London and we had a lovely long wine-fuelled lunch at quaint Petersham Nurseries in Richmond on the Saturday. It was my first time there but I love the greenhouses made into a restaurant and tea room with plats, and nice furnishings every wear. So rustic and so lovely! 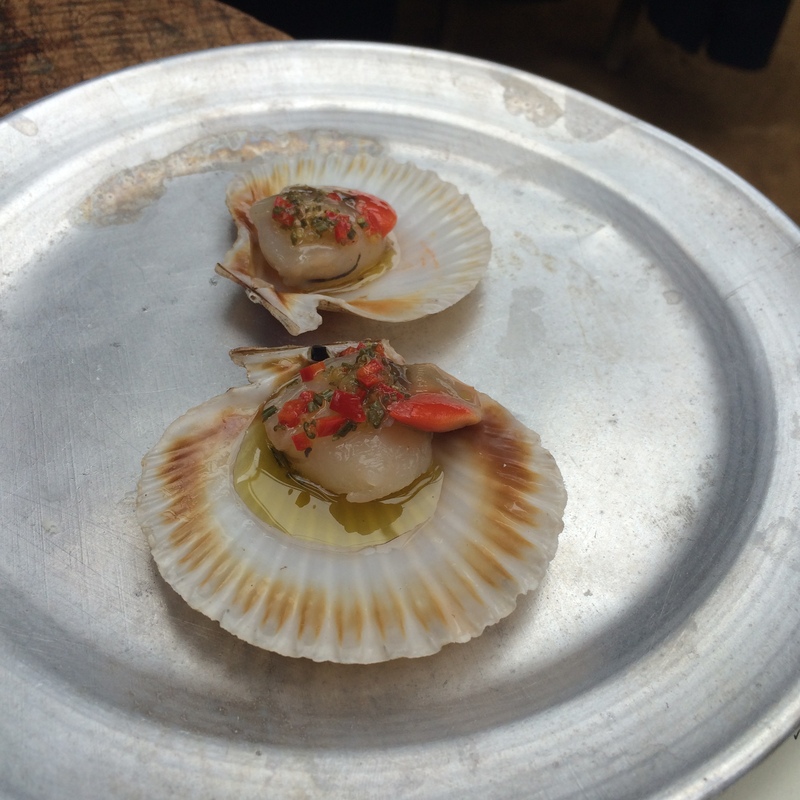 We started our meal with a delicious rhubarb bellini and had a scallop each; marinated in olive oil, rosemary, lemon and chilli. 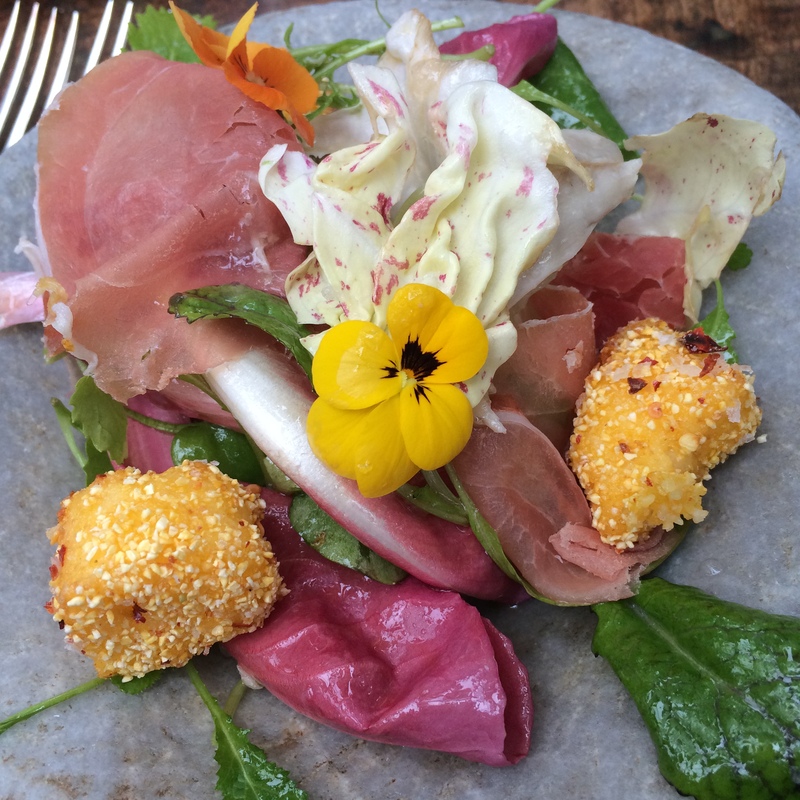 Anna then had a very springlike salad of rabbit, radicchio, polenta cubes, prosciutto and violets as her starter. It was wonderful and pretty as a picture. 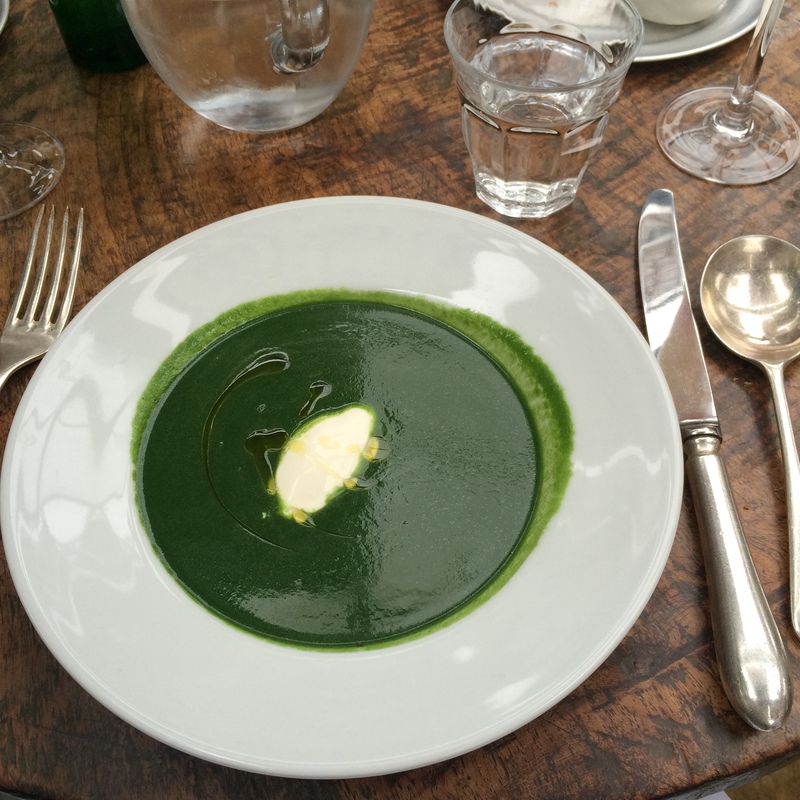 I had the nettle soup which was lovely too. Just look at that colour! It was served with a dollop of thick tangy creme fraiche which was the only sidekick needed. 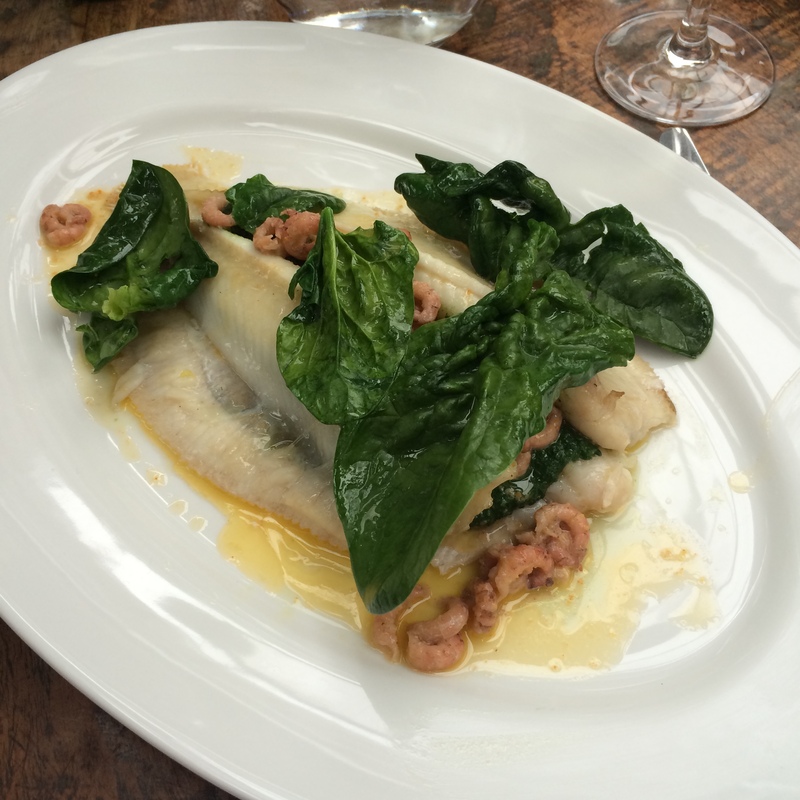 Four our mains we both chose the same whole lemon sole stuffed with creamy spinach, spiced butter and brown shrimps. The flavours worked really well together and we thoroughly enjoyed it – and the side of purple sprouting broccoli. 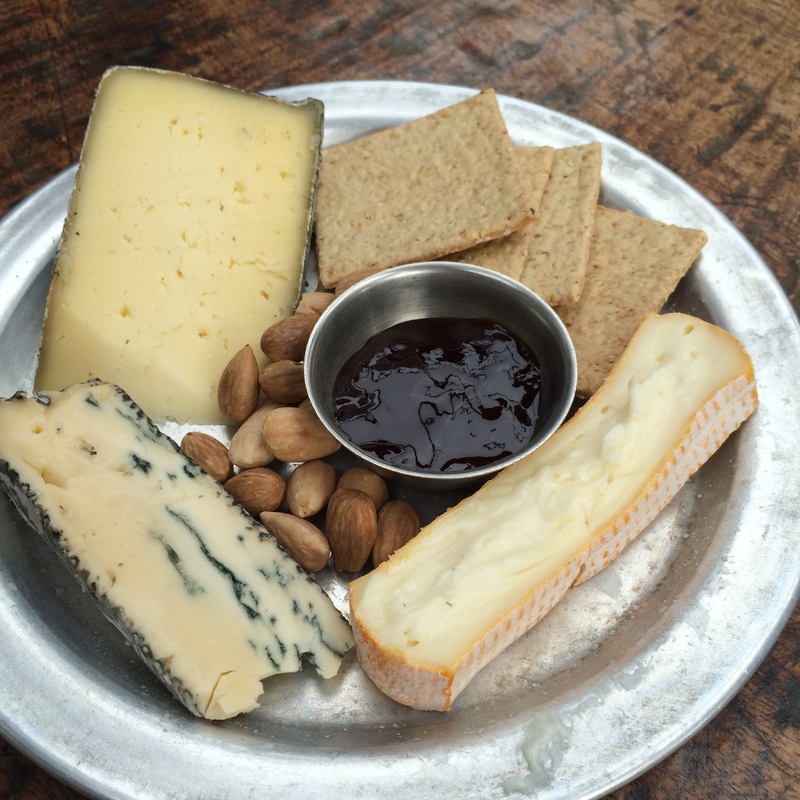 After a little wine break (much needed after all the food) we were ready for some cheese and tried these three (one was a Cornish Yarg but I’ve forgotten the others), all delicious and a perfect end to our meal.